The odds that you'll win the $445 million jackpot in Friday's Mega Millions drawing are really, really bad. And the odds that you'll win $550 million in the Powerball drawing Saturday are similarly stacked against you. The likelihood of winning both? Forget about it. The odds of winning Powerball are only slightly better -- 1 in 292.2 million. If it seems like the odds are even worse than they used to be, they are. Both games have increased the choice of numbers people can play, which makes it less likely that someone will get all six numbers right. 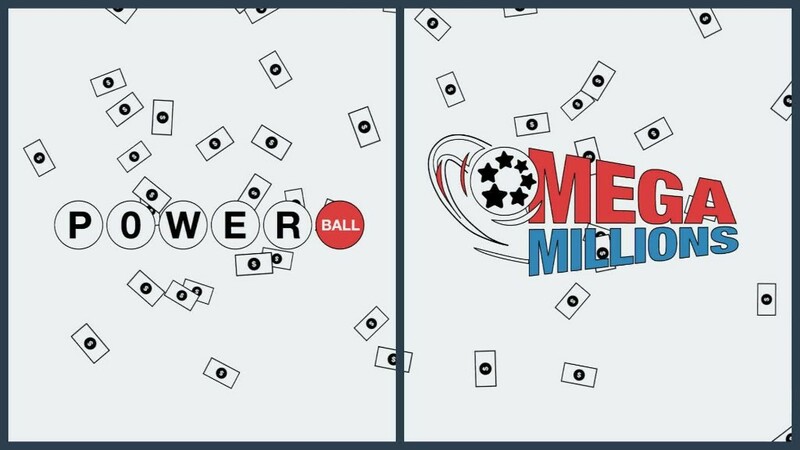 Powerball lengthened its odds in late 2015, while Mega Millions made the change this past October. Having jackpot winners less frequently means that the top prizes roll over more and get bigger. And that attracts even more players. Right now that cycle is working perfectly. In fact, this is the first time ever that both games have offered jackpots of $400 million or more at the same time. And that's prompting people to buy tickets to both games, rather than just one or the other. So that raises the question, what are the chance of winning both games this week and walking away with jackpots totaling nearly $1 billion? That would be 1 in 88 quadrillion, or 1 in 88,412,922,115,183,000 to be precise. If quadrillion isn't a term you deal with very often, think of it this way -- it's 88,000 trillion, or 88 million billion. Or if you're one of those people who do better with percentages: You have a 0.0000000000000011% chance of winning both games.